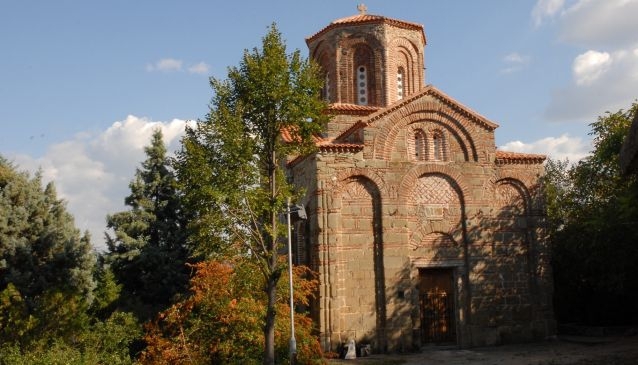 If you decide to visit Shtip and you are planning to see the beautiful buildings and places this town offers, do not forget to visit the Church of St. Archangel Michael. This beautiful church is situated under the Veterans Monument, on the east side of the hill where the Fortress Isar is located, thus in order to reach the church you must follow the path that leads to Isar. Walking through this path you will have a chance to enjoy tranquil ambiance, fresh air and beautiful green environment. Once you reach the church you will be amazed of its splendid architectural style. The Church of St. Archangel Michael was built during the 14th century and it represents a small medieval church with one dome on a cross-shaped basis. Inside the church, the walls are ornamented with colourful paintings and beautiful icons. The Church of St. Archangel Michael is a place filled with peace and harmony so you will feel calm and pleasant during your stay here.